We’re doing our next event at Proud Archivist on Wednesday 25th. Arrive from 6.30pm with your clothes and we’ll be sorting them out until 8pm. We’ll give you tokens for your items. The only rules are: coming with up to 3 items and quality over quantity, something you’re proud to give away. Still have clothes with tags on? Or something that doesn’t fit anymore? Tickets can be bought from here otherwise it’s £15 on the door. All profit is going to Breast Cancer Care. Proud Archivist are kindly doing 2for1 cocktails for us and you can enjoy dinner in their restaurant until 8pm when we’ll start. A youth project run by Arts Against Knives. Through their creative workshops and projects they have been successful in supporting young individuals with a past in crime who need experience and opportunity to access education employment and training. We’re also supporting Childhope via TRAID, to provide birth certificates for children of garment workers. In Bangladesh many garment workers are extremely poor women who are single mothers. They have usually migrated from rural areas looking for work and opportunities for themselves and their children. With high demand for cheap labour in the garment industry, many of these women work sewing clothes in factories. Birth certificates are crucial so their children can get access to education and medical care. Early bird tickets are available for £8, hope to see some of you there. And thanks for your support. 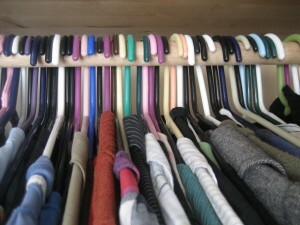 Let’s put some conscience into our closets! Here at the Clothes Club we are always keen to promote a more socially conscious textile consumption. A phenomenal 70% of textile waste in the UK is comprised of clothes and shoes. Due to seasonal fashion trends, consumers (that’s you and I) tend to discard good quality clothing (4% of each household bin!) when it is no longer fashionable. Because of this throw-away culture, designers focus less on producing durable, quality goods and consumers are encouraged to buy new clothes at a faster rate. In fact, 2.15 million tonnes of new textiles are bought in the UK every year. Moreover the textiles industry generates additional quantities of waste yarn and fabric from scraps during the production process, which adds to our already mountainous proportions of textile waste. A large proportion of the synthetic fibers that make the journey to our brimming landfill sites do not decompose. The materials that DO decompose (such as wool etc) produce both Methane and Ammonia. Methane is one of the most lethal greenhouse gasses, far more damaging than the infamous CO2 and a key contributor to climate change. Ammonia on the other equally toxic hand is known to increase the Nitrogen in drinking water as well as poisoning the air, which of course is more bad news for us. Despite these troubling realities within the landfill process, the UK has yet to pass any specific legislation to regulate textile waste or indeed encourage its recovery or recycling. But all is not lost! This is where we come in, noble Clothes Clubbers. Recycling! A much loved word here at The Clothes Club. Did you know that roughly one million tonnes of UK textiles goes into landfill every year and the majority of it could be recycled? 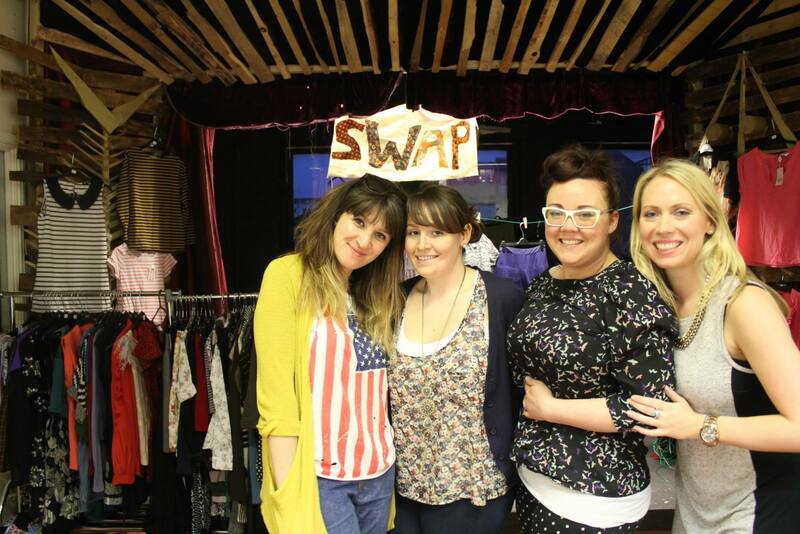 What better way to combat this than coming to one of our events and giving your old clothes a new, much-loved home. Recycling is not only great on a micro level (reducing personal waste) but on a macro level, producing our own material reduces textiles imports and therefore balances payments, which means a healthier economy for us, yippee! It also stops the great amount of pollution released when transporting textiles into the UK. Following the shocking death toll of the factory fire in Bangladesh, malpractice from UK textile firms outsourcing labour abroad has been brought into the public consciousness. We are far better off sourcing clothes from the UK rather than contributing to a culture of poor working conditions for workers, coupled with low wages and long hours. Recycling it seems, is the cure to a wide range of social, economic and environmental problems. There are of course, several ways to recycle or reclaim textiles. The first is in the more industrial sense, in which yarn is unravelled and material is graded into colour and type. This is then shredded into ‘shoddy’ which is then re-spun for weaving or knitting. The process is brilliant because colour sorting means no nasty chemicals have to be used to re-dye. The energy intensive process we use in the UK to make textiles from virgin material can be reduced by 50% when reclaiming fibre. Another way to recycle clothes is through the process of upcycling, you would be surprised what some fabric dye and a set of new buttons can do to a garment. 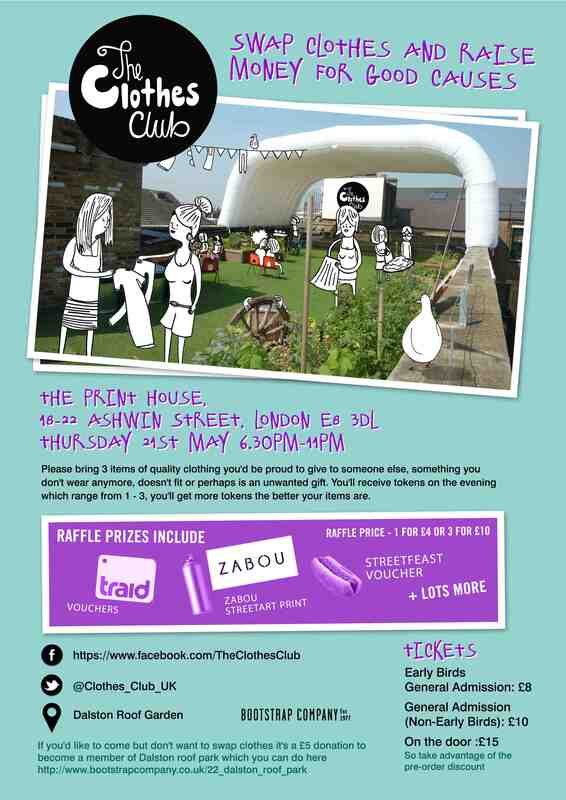 Look out for tips on how to give garments a new lease of life at future Clothes Club events, we have plenty up our sleeves. Lastly there is the recycling of whole garments, be it through taking clothes to local clothes banks, charity shops, jumble sales or through swapping them at fun events such as the Clothes Club. Any leftover clothes from our events currently makes its way to our local TRAID or Oxfam. 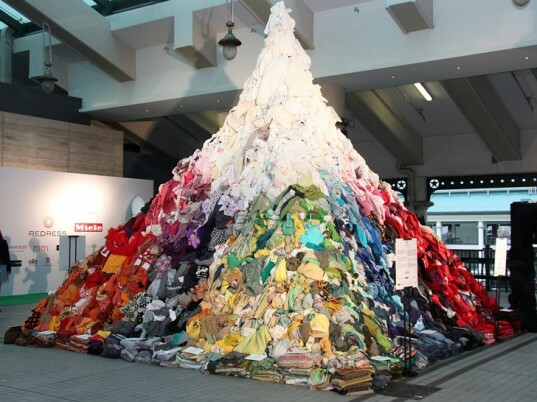 You can find more information on textile waste in the UK here and here. We’re in the midst of the sale season and in the face of great savings it’s not uncommon to find yourself falling for a bargain without any real thought about whether we’ll actually ever wear it. So inevitably we all get stuck with garments we bought in the heat of the moment that never see the light of day. And it’s often difficult to get rid of things that we feel guilty about buying. We find reasons to hold on to them and forget how long we have been putting off dealing with them. One way to make the steps easier is to box up any suspect items and store them out of sight (always good to write down the date on a scrap of paper and put it in the box too so there is no side stepping the issue of when they went in). A storage box in the car boot or attic will do. If the clothes are still in there 6 months down the line, it’s time to face facts. Bring to the next Clothes Club.